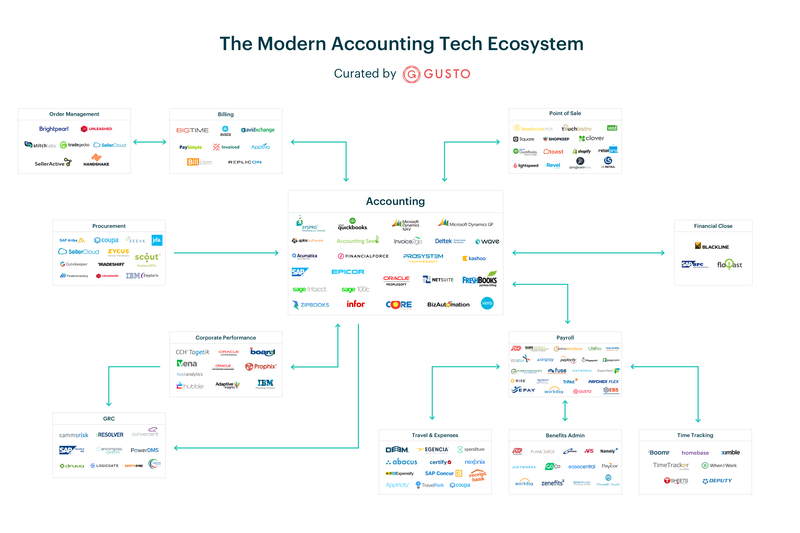 The accounting technology ecosystem is becoming increasingly complex. This detailed infographic, curated by Gusto, can help you desmystify the current landscape. In this visual map, you will find accounting technology solutions, their key industries and functions, and how they are all connected.